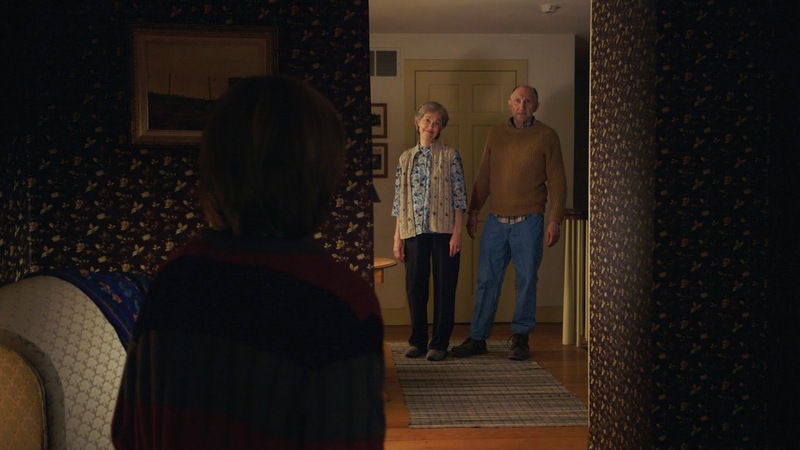 Reel Talk Online: Can THE VISIT Actually Be a Good Movie, Seriously? 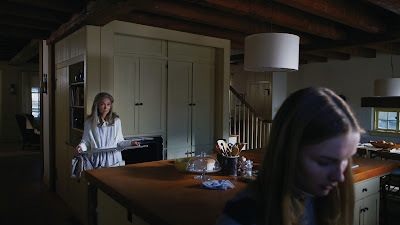 Can THE VISIT Actually Be a Good Movie, Seriously? I am almost scared to ask this question. I mean, we're talking about writer/director M. Night Shyamalan here, who has duped us too many times to count (and who I will never forgive for such disasters as The Village). I admit, when I first saw the trailer for THE VISIT, I thought it was what has become classic Shyamalan, in that it looks like a film that might be scary good but actually probably ends with two muppets screaming "boo!" at the end. And it may still be that film, I don't know. But here's hoping THE VISIT is legit horror, despite the fact that it's about a couple of unfortunate children who are randomly dropped off at their insane grandparents' house but their clueless parents. *sigh* Please Lord, let this be decent. Writer/director/producer M. Night Shyamalan (The Sixth Sense, Signs, Unbreakable) and producer Jason Blum (Paranormal Activity, The Purge and Insidious series) welcome you to Universal Pictures' THE VISIT. Shyamalan returns to his roots with the terrifying story of a brother and sister who are sent to their grandparents' remote Pennsylvania farm for a weeklong trip. Once the children discover that the elderly couple is involved in something deeply disturbing, they see their chances of getting back home are growing smaller every day. THE VISIT is in theaters September 11. Remember when his last film came out, the one with Will Smith and his kid, and they completely left his name off everything? Maybe they should've done that here too. I thought the trailer looked mildly decent, but then I saw his name, and like "nope." I'm sure the ending will be terrible. I thought the trailers looked bad fro this and I've refused to plunk down any money for a M. Night Shyamalan movie, especially after The Happening.